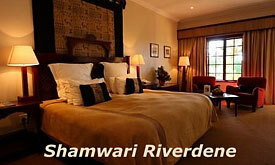 Shamwari Riverdene Lodge sleeps a total of 18 guests. 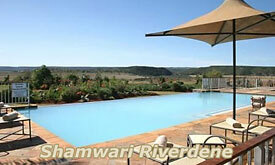 Rooms are fully air-conditioned, all feature television, telephone and small lounge area. 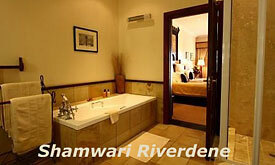 Each en-suite sandstone bathroom has a 'his' and 'hers' vanity basin, separate shower and bath. Private balconies lead onto the landscaped gardens. The two elegantly furnished casual lounges and glorious sunroom, as well as a magnificent rim flow swimming pool entice guests to relax and restore their energies. The lounge opens onto a spacious outdoor barbecue area. 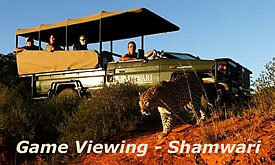 As with all the lodges at Shamwari Private Game Reserve, guests receive personal attention from their assigned rangers for the duration of their stay. 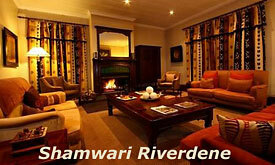 The upper floor dining room and lounge, library, lounge and cocktail bar, all further complement the guests 'African bushveld experience' that Shamwari Reserve is famous for. 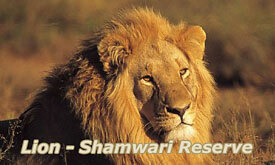 Wildlife Africa Copyright WILDLIFE AFRICA CC ®.